We know what the Moto G7 series might look like. We know what the Moto G7 series might cost. At this point, the only thing left is for Motorola to unveil the mid-range smartphones. Motorola Brazil’s website accidentally did just that last night, as spotted by CNET en Español. The leak confirms the Moto G7’s waterdrop-style notch at the top of the display, along with the reduced bezels on the top, bottom, and sides. It also confirms the retention of the headphone jack, which you can find next to the USB-C port on the bottom of the phone. The leak also reveals the Moto G7’s specifications. 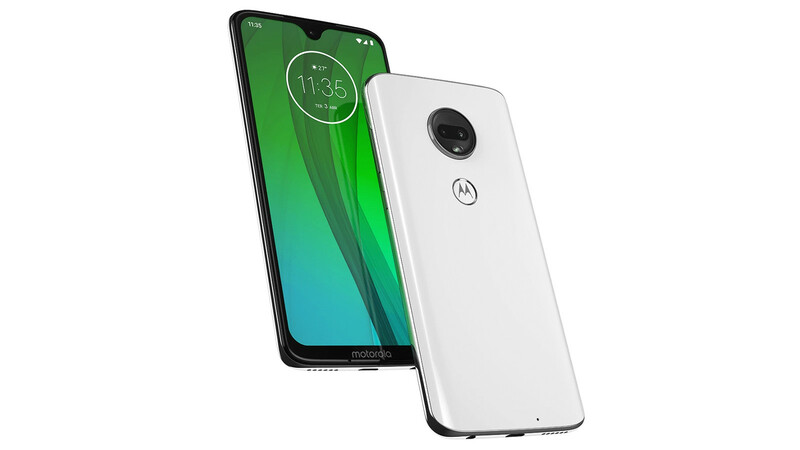 According to the Motorola Brazil website, the Moto G7 features a 6.24-inch display with Full HD+ (2,270 x 1,080) resolution, dual rear 12 and 5MP cameras, an 8MP selfie camera, Qualcomm’s octa-core Snapdragon 632 processor, 4GB of RAM, 64GB of storage, and a 3,000mAh battery. Funny enough, Motorola Brazil’s website also leaked the Moto G7 Play, Moto G7 Power, and Moto G7 Plus. All of the phones mostly feature the same specs, save for lower-resolution displays on the Moto G7 Play and Power, the huge 5,000mAh battery in the Moto G7 Power, and the slightly-beefier Snapdragon 636 and 16MP primary rear camera on the Moto G7 Plus. Because these leaks came from Motorola Brazil’s website, we don’t entirely doubt their validity. That said, Motorola hasn’t yet officially announced the Moto G7 phones, so take any leak with a grain of sale. The leak didn’t mention pricing details for the Moto G7 series. That said, a previous leak alleged that the Moto G7 Play might start at around $170 in most of Europe. The Moto G7 Power might start at around $238 in most of Europe.